Keith Armstrong, O Tswellang (detail), 2016, from Over Many Horizons, UTS Gallery. Photo: David Lawrey. 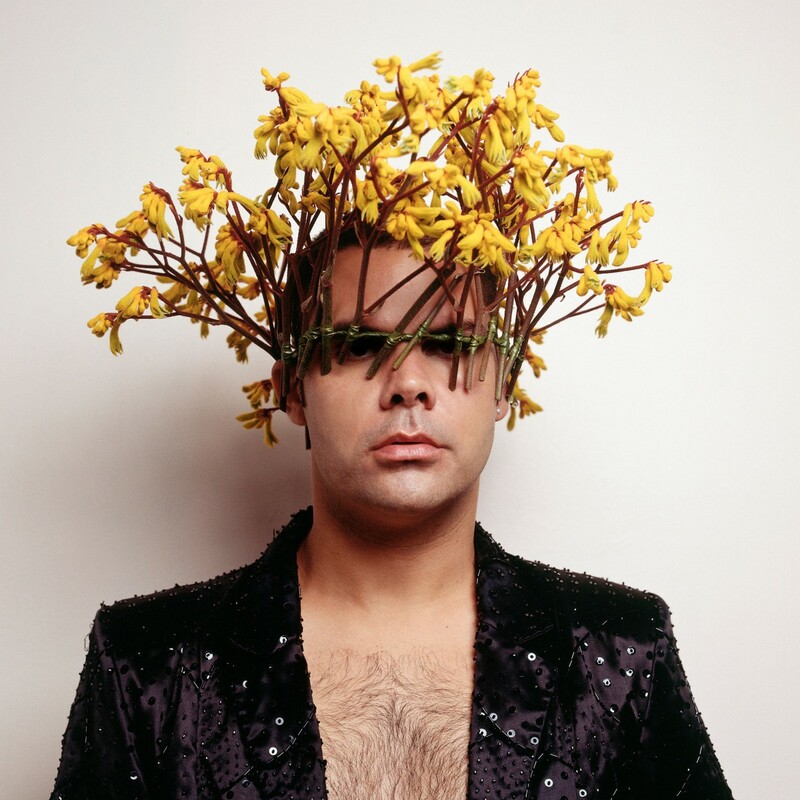 Christian Thompson’s series Australian Graffiti involves staged images of the artist wearing Australian flora as a headdress. Thompson has arranged the flowers and leaves into intricate headbands that partially or fully cover his eyes from the viewer. Clothed in flamboyant jumpers and jackets found rummaging through the racks of op shops the images at first glance feel fabulous and fun. However the combination of Thompson’s self-portrait as an Indigenous man with Australian flora recalls a dark part of Australian history. (Australian Graffiti) contrasts Australia’s infatuation with native flora with ideologies that correlate Aboriginal people with flora and fauna, not humanity. Thompson’s photography comments on the history of portraiture and cultural identity relying heavily on costume and make up to subvert the traditional genre. His work reflects on issues to do with identity, globalisation, culture and kinship. After completing a Masters of Theatre at the Amsterdam School of Arts, Thompson was one of the first two Aboriginal people to study at Oxford University winning the inaugural Charles Perkins scholarship in 2011. It was published in June 2014. View all education resources with a particular theme or topic.